What is Old to New Change? 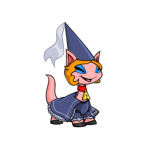 This page shows you all the Neopets that have been converted that day. This does not include all of the pets that have been created after this day, because these pets were not converted, they were simply added later directly in their new form. If you want to see the newer pets, visit the SunnyNeo Rainbow Pool. This page does not display invisible pets for obvious reasons. Note: This page shows a mixture of both male and female pets. You will be able to recognise the female pets by their eyelashes, the male pets do not have these. In the navigation below you can choose between three different options. The first will give you a list of all pets, you will then be able to sort on species. The second option will give you a list of all colours, which allows you to sort on colour, finally the last option allows you to select a specific pet by choosing species and colour.